BACK IN STOCK 6th MARCH 2019 - pre-order now! This 200W Midsummer monocrystalline solar charging kit is suitable for small to medium off-grid installations. In motorhomes, caravans and liveaboard boats, it should be capable of keeping a 12V battery charged with minimal-medium usage (such as LED lights; small TV; water pump; phone/tablet charging). 200W Black Monocrystalline Midsummer Energy Solar Panel - with German solar cells. 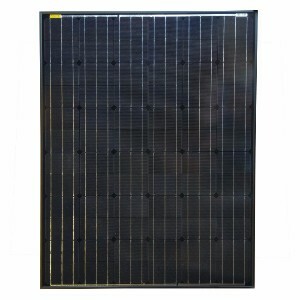 This unique 200W monocrystalline solar panel (only 1240mm in length) can fit on any roof. It has a sturdy 40mm svelte black frame to protect some of the highest quality glass available. Good glass permits better light transmission and thus higher energy yields. The monocrystalline solar cells are produced in Germany and are manufactured to stringent standards. The backing sheet that coats the back of the solar panel is durable and weather tight ensuring many years of performance. A resilient junction box coupled with double insulated solar cables ensures effective energy transference. The cables are fitted with the industry standard MC4 compatible connectors. To effectively charge your 12V battery bank you will need a solar regulator. We provide only high quality regulators from industry leaders. 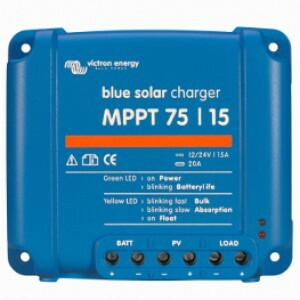 This kit comes with the fantastic 15A 75V Victron Energy MPPT solar charge controller. We have been a direct distributor of Victron Energy products for many years and have always been impressed with the high quality of their products. Conversion inefficiencies exceeding 98% and high speed maximum power point tracking (MPPT) ensure little to no power whatsoever is lost from your solar system. Protection measures include battery short circuit, reverse polarity and overcharge protection as well as temperature compensation (using optional temperature sensor) to ensure batteries last as long as they should. 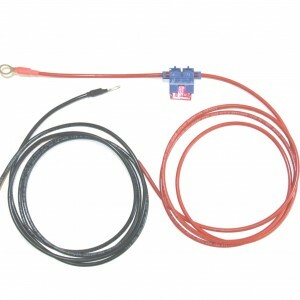 To connect this kit to your 12V system you will need suitable cables. 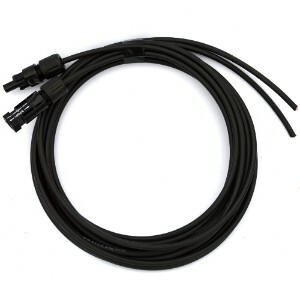 We provide two x 3m cables with MC4 connectors on to enable you to connect the panel to the regulator. We also provide a suitable 1.5m 20A harness to connect the regulator to your battery bank.